PART NUMBER R620. COMPATIBLE WITH DELL POWEREDGE R620. PROCESSOR NUMBER E5-2665. INCLUDE WITH PROCESSOR / HEATSINK. INSTRUCTON SET 64-BIT. WEIGHT 3LBS. PART NUMBER R720. COMPATIBLE WITH DELL POWEREDGE R720. PROCESSOR NUMBER E5-2665. INCLUDE WITH PROCESSOR / HEATSINK. INSTRUCTON SET 64-BIT. WEIGHT 3LBS. PART NUMBER M620. COMPATIBLE WITH DELL POWEREDGE M620. PROCESSOR NUMBER E5-2665. INCLUDE WITH PROCESSOR / HEATSINK. INSTRUCTON SET 64-BIT. WEIGHT 3LBS. Dell service kit # X6PC8. Core stepping B1 (Q3M4, SLBPT). One of the actual X3480 in pictures. 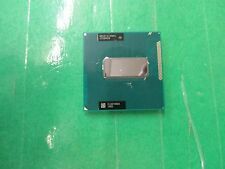 Socket Socket 1156 / H1 / LGA1156. NEW CPU, Better than Excellent condition. NEW Dell KIT. Type CPU / Microprocessor. Intel Core i3-4130 3.4GHz Processor (Dell inspiron 3847). Condition is Used. Shipped with USPS First Class Package. 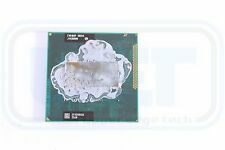 4MB 5080 1066MHz CPU. Core stepping C1. 1.25 - 1.4. In perfect working condition. Part Number: SR0PK. Includes: Processor Only. Product Information. Dell PF028. Product # PF028. PF028 Features Typical Print Yield: 5000 Page. Yield Type: Standard. Print Technology: Laser. Print Color: Black. Working well, cool and stable. THIS KIT IS ALL YOU NEED TO ADD A 2ND. PROCESSOR TO YOUR DELL T610 POWEREDGE SERVER. Part Number: R031P. MPN: LS-4766, 0R031P, CN-0R031P. Compatible Model: Dell Inspiron Mini 1010. Compatible Product Line: Inspiron. Type: Laptop Video Graphic Card. Mouse over images to see larger version. Dell Part Number: 0R5KP9. 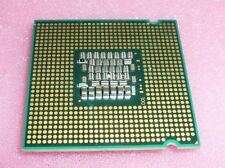 CPU Socket Type: LGA 1356. Dell System Motherboard. Product Type: System Motherboard. Intel Core I7-870 2.93 Ghz. Sold in as-is, used, tested and working condition. Shipped with USPS First Class Package. 12MB X5450 1333MHz CPU. 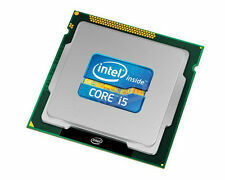 Processor core Clovertown. Thermal Monitor 2. Core stepping C0. I n perfect working condition. Virtualization technology. CPUID 10676h. Execute disable bit. 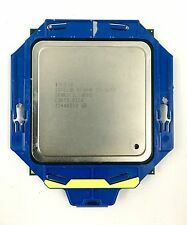 SOCKET 1156 CPU PROCESSOR. Socket: 1156. L2 Cache: 512 Kb. L3 Cache: 4 Mb. Number of Cores: 2 (Dual Core). This part has been TESTED then removed from a practically new Dell Latitude E6530 laptop. COMPATIBLE MODELS: Dell Latitude E6530 E6430. CONDITION: New condition. Tested before removal. 12MB X5450 1333MHz CPU. Type CPU / Microprocessor. Processor number ?. Processor core Harpertown. 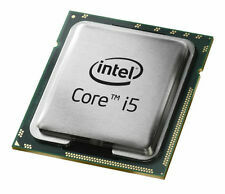 The processor supports I/O Acceleration Technology. Thermal Monitor 2. Core stepping C0. 0.95 - 1.225. This part has been TESTED then removed from a practically new Dell Latitude E6540 laptop. COMPATIBLE MODELS: Dell Latitude E6540 E6440. CONDITION: New condition. Tested before removal. In working condition. Original Windows 7 Professional software intact and loaded. DVD works. USB ports work. Everything works. Pictures are actual from the CPU status. No WiFi card. Provide your own peripherals including the power cord. Manufacturers change colors and item details frequently and often do not update pictures. We have no personal knowledge or experience with this product or ability to customize it. It usually takes about a week to get your item. Part Number T420. Instruction Set 64-bit. Helpful Links. Personal Hygien Products. Downloadable Products. Knowledgeable Sales Advisers. Order 24/7. Competitive Pricing. Wide range of Products. Reasons to buy from Tekserve. Need it fast?. Most orders are processed promptly within 24-48 hours. All attempts will be made to resolve the issue. NOB Dell Genuine PowerEdge 6220 Processor Heatsink YVYH6. 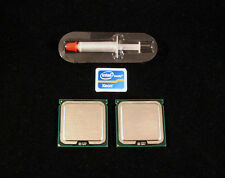 Dell 6F246 1.13Ghz CPU Processor with Heatsink Only. THIS KIT IS ALL YOU NEED TO ADD A 2ND. PROCESSOR TO YOUR DELL R710 POWEREDGE SERVER. Genuine Sun SunFire X4200 Server System Motherboard. This part was pulled from & is 100% compatible with SunFire X4200 Server. 501-7590-02 Rev: 51.